The larval food plants are several species of mistletoes particularly Dendrophthoe glabrescens. Mature larvae yellowish green to pale green; some long white hairs arise from a white spot; head black with white hair. 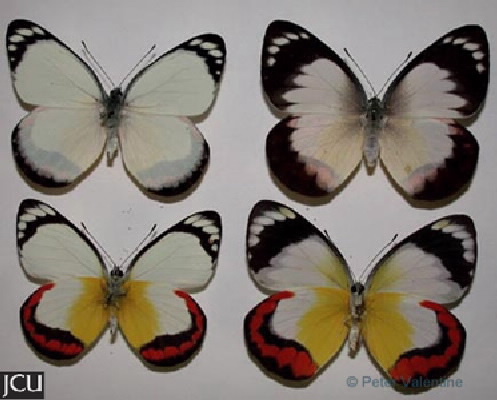 Adults are basically white, near the apex of the fore wing there are about 5 white spots enclosed by black, narrow terminal band on hind broader in female; lower surface white but some with red and yellow markings.